In Poole Chiselcut Standard (the lightest of the three weights in the family), the delicate inlines create a sort of crystalline elegance; while the other weights play up the Late Victorian lineage of the typeface. The Heavy font is does its best work in playbills, signage and other settings where a quirky, turn-of-the-(20th)-century strength feel is called for. 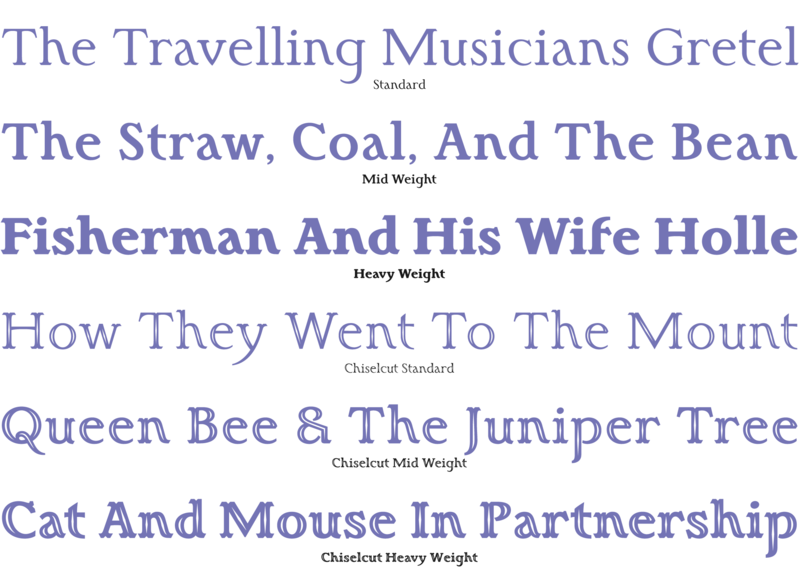 The Poole fonts include: Western and Eastern European characters, ligatures, and more.